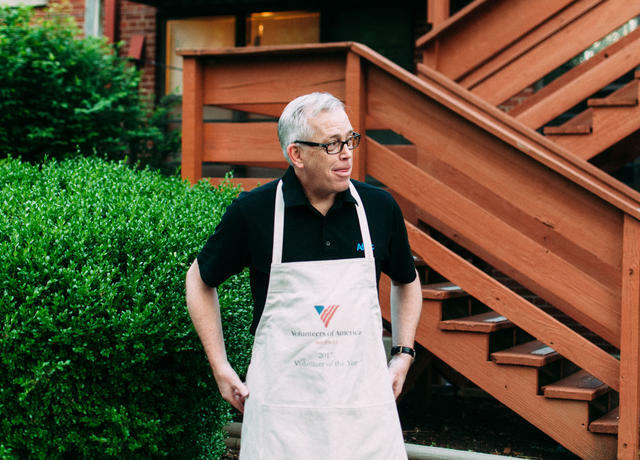 Twice a month, you'll find David Watson and his "Breakfast Crew" up before the sun, cooking a hot breakfast in the kitchen at VOA's Unity House. 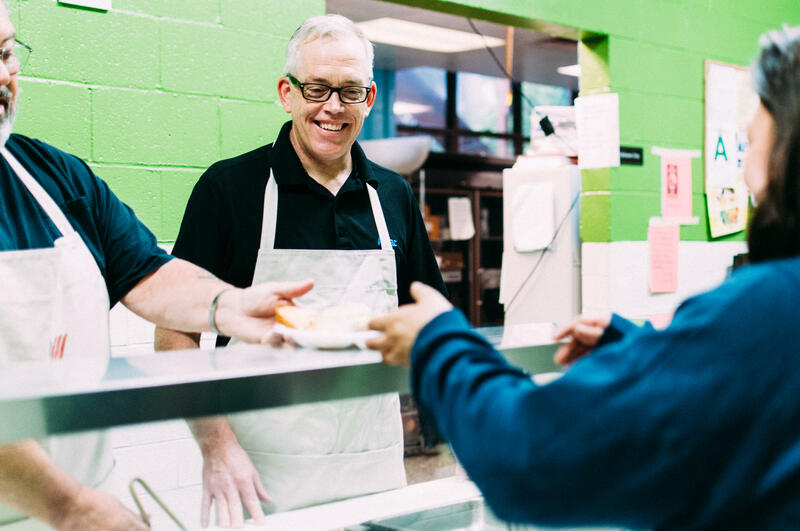 For the past five years, David and his crew arrive around 6 a.m. every other Wednesday morning to prepare and serve breakfast to the homeless children and parents staying with us as they work towards self-sufficiency. The crew serves nearly 40 meals each time they volunteer, as well as shopping for and donating all of the food needed to make breakfast for the families. In May 2017, the Breakfast Crew reached an impressive milestone - more than 5,000 hot meals served at VOA Home's Unity House. Because of his remarkable commitment to these families and Volunteers of America's mission, David was been named our 2017 Volunteer of the Year for his commitment to the people we serve and our mission. David was first introduced to our services at a Real3 Journey tour at the Unity House in 2011. David attended the tour as a guest of former board member and longtime supporter Steve Magre and quickly realized that he wanted to do something to help the families staying with us. If you see a need, you act on it. I saw a need. "I was moved by the whole experience – by the facts and figures of how many kids laid their heads there every day," David said of the tour. "My father was very involved in charitable work, so he taught me well – if you see a need, you act on it. I saw a need," David said. After discussing how he wanted to help with Volunteers of America President and CEO Jennifer Hancock, David and a few friends and neighbors began bringing in food and serving a hot breakfast every other Wednesday, complete with eggs, bacon, sausage and French toast. As time went on, more of David's friends joined in to help as part of the Breakfast Crew, including Paul Robertson, Steve Magre and Richard Beckley, who were present to see David accept his award, and to be recognized for all they have done to support the families at Volunteers of America as members of the Breakfast Crew. Scott Malony, John Distler, Willie Mathis and Michael Barnett have also been active Breakfast Crew members during the last five years. David was presented with his award at the home of Barbara and Brandt Ford, during our annual board and Positive Change Society donor Valentine's Day social. Each year, this award is presented to a volunteer who has gone above and beyond in his or her service and compassion for Volunteers of America's programs and clients. People need to know people care about them. That's what it's all about. Serving breakfast at our family shelter provides a delicious, hot meal to help residents start their days on a healthy note, but even more importantly, demonstrates how much Volunteers of America staff, supporters and volunteers, like David and the Breakfast crew, care about seeing every person we serve succeed and move toward self-sufficiency. "People need to know people care about them. When you're in that situation, having someone back there serving food and telling them their life matters is important," David said. "That's what it's all about."